Next week five lucky qualifiers from Intertops Poker and Juicy Stakes will be escaping the autumnal cold, win and rain and heading for a once-in-a-lifetime poker trip to the Caribbean. Railbirds will be able to follow every step of their adventure at the CPT Punta Cana thanks to a series of behind-the-scenes video blogs. 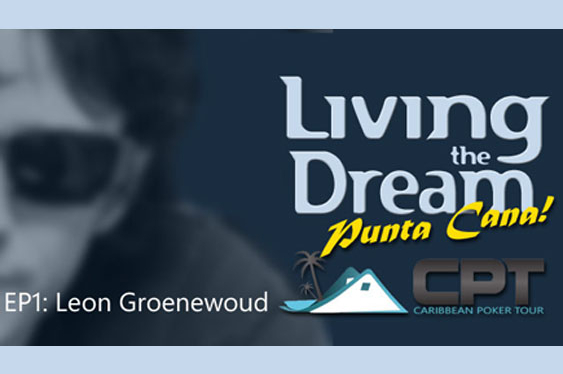 The first episode, which sets the scene and features an interview with organiser Leon Groenwoud, has just become available. The famous five all booked their trips to the Dominican Republic after winning satellites at the Revolution Poker Network sites and include a pair of pros in 32-year-old Daniel Montagnolli from Austria and American Derek Scallon, who has a sideline as a film producer. There is also a trio of recreational players in builder Neil Slade from Hampshire in England, businessman Steven Loney and Phil Cardella, a CAD designer from Pittsburgh. The quintet will be hoping to follow in the footsteps of Ari Engel who took down last year's CPT Punta Cana main event and pocketed over $177,000 in the process. Whether they run deep or bust out early, the Caribbean trip should be a real adventure, especially for the amateur players. Whatever happens, they will have some great tales to tell, all of which will be available via special video blogs. "I’m really looking forward to joining the players in Punta Cana," said Larry 'The Gamblogger' Colcy, who will be producing daily video reports from the Hard Rock Casino Punta Cana. "I’ll have tournament results as well as interviews with the Living The Dream players and other players at the tournament. I’ll also follow them around with my video camera as they enjoy the resort." The opening episode is available below while a second report is to follow on November 4.